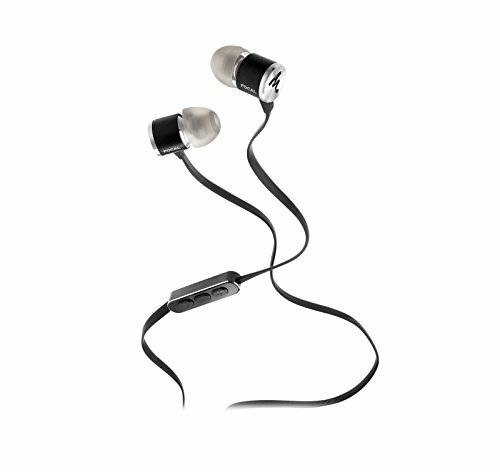 The French manufacturer's in-ear-headphones will bathe you in intoxicating audiophile sound and a smart set of accessories without breaking your budget. And they won't fall off while you run. Many years ago, I listened to a pair of stylish but very expensive tower speakers at a Hi-Fi store in the Boston area. I wasn’t intimately familiar with the French high-end speaker manufacturer Focal (pronounced Fo-CAL) then, but I never forgot the spell-binding sound those speakers produced. 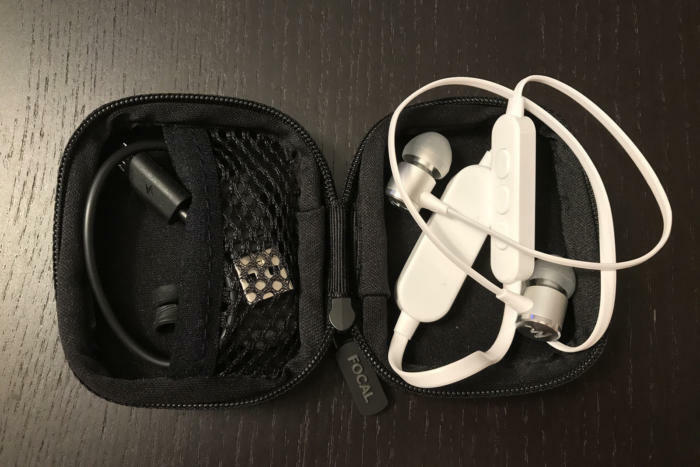 Focal is now turning its attention to the mainstream in-ear headphone market with the Spark and Spark Wireless. 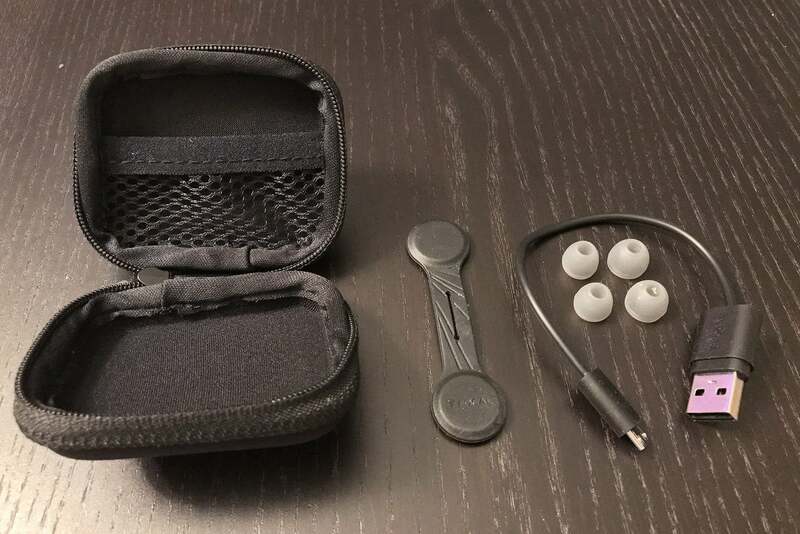 This review focuses on the Spark Wireless, the Bluetooth cousin of the wired Spark in-ear-monitor that I’ve also examined (you’ll find that review here). 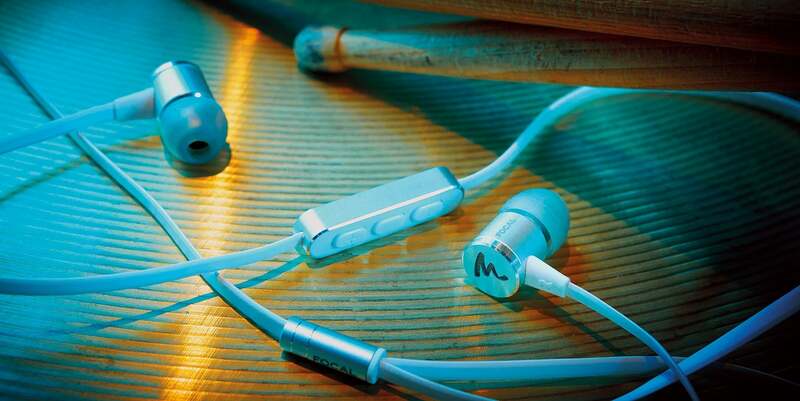 The two share the same bullet-design ear plug with an aluminum finish. Both have 9.5mm electrodynamic mylar drivers; a flat anti-tangle cable tethering the two earbuds; a three button remote with an omnidirectional microphone; a satin finish; and a beautiful, laser-etched Focal logo on the ear plug’s backside. 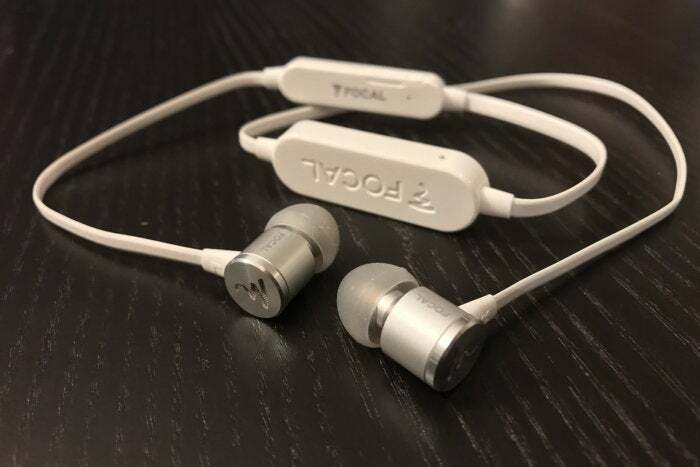 The Focal Spark Wireless support Bluetooth 4.1. I found them simple and easy to pair with my iPhone 7. Holding down the play/pause button for about four seconds will put the Spark into pairing mode. Connecting to the Spark Wireless was quick and flawless. Three pairs of silicone ear tips—small, medium, and large—are included. The ear tips have adequate grip and didn’t fall out of my ears. I was able to get a good, snug fit, which is also essential for proper bass response with in-ear-headphones. My review pair came in silver and white, though there is a black and silver model available as well. There’s something distinctively French and stylish about the Spark Wireless headphones. The satin aluminum finish on the barrel, accented by a silver back with a slightly beveled edge, both diffuses and reflects light in a distinctive way. The Spark Wireless includes a carrying case, a magnetic retention clip, a microUSB charger, and silicone ear tips. The Spark Wireless comes with the same excellent carrying case that I noted with the wired edition. The mesh pocket in the case’s top lid takes on heightened importance with the Spark Wireless. It’s a perfect place to store the included magnetic battery clip, which acts as a fastening system so you don’t lose the headphones. The rubber magnetic retainer clip looks like a dumbbell, but with flat circular magnets on each end. A slit in the middle gives you just enough room to push one of the plugs through. Clip the retainer to your shirt collar with the magnets, and it will prevent the loss of the headphones while you're active. I found the clip to be an exceptional accessory. The Focal Spark Wireless includes a magnetic clip to prevent your headphones from falling off. I deliberately pulled out one of the headphones while running and even let the Spark Wireless dangle. At no time did the magnetic clip budge from my shirt’s collar. When you’re wearing outfits without pockets, the magnetic clip provides a sense of security. 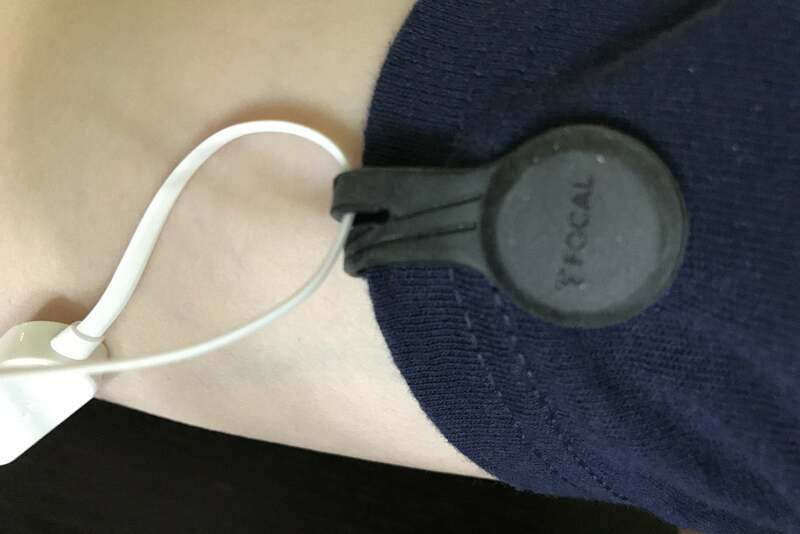 If you have a wide collar or a tank top, however, the magnet will be counterproductive due to the Spark’s short cable.You’ll end up pulling on the headphones if you turn your head. Focal didn't provide an IP (Ingress Protection) rating for the Spark Wireless, so I'm assuming they're not water-resistant. That feature would have further enhanced their overall appeal. If you go jogging with these earbuds, you should tuck them away if it starts raining. The inline remote resides on the left half of the Spark Wireless cable and has a rubberized cover over the microUSB port that's used to charge the headphones. The included charging cable is very short—just over 6.75 inches long. It fits neatly into the mesh compartment of the carrying case but doesn’t give you much slack when you plug it into an AC adapter (you'll need to provide your own). You can expect to get about eight hours of play time, depending on playback volume, after a two-hour charging. The carrying case fits the Spark Wireless and all included accessories in a mesh pouch. The inline remote’s functions worked flawlessly. There are volume-up, play/pause, and volume-down buttons. Pressing the volume up or volume down buttons for more than three seconds will advance or rewind the song you’re playing. Pressing and holding the play/pause button will initiate Siri on an iPhone. When you're on a call, pushing the middle button will end the call. People on the other end of my calls could hear me without issue, telling me that the omnidirectional microphone is of good quality. 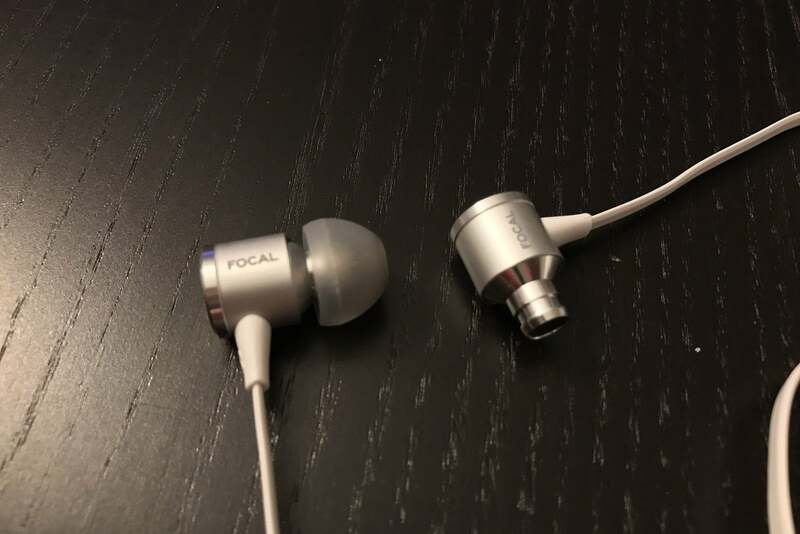 Focal describes its cable as anti-tangle. While it’s not tangle-proof, there’s no question that the flat, rubberized material resists tangles and never became a problem for me. In fact, it wants to untangle, springing straight even when you bundle it. And because the Spark Wireless’ cable is so short, it was even less tangle-prone than the wired Spark model. The Focal Spark Wireless charges in about two hours via its micro USB port located behind a rubber gasket on the inline remote. Focal's Spark Wireless supports aptX and SBC codecs for streaming and AVRCP, A2DP, HSP, HFP Bluetooth profiles. AptX promises to deliver near CD-quality streaming over Bluetooth, though you'll need to have a high quality music files to get close to this claim. 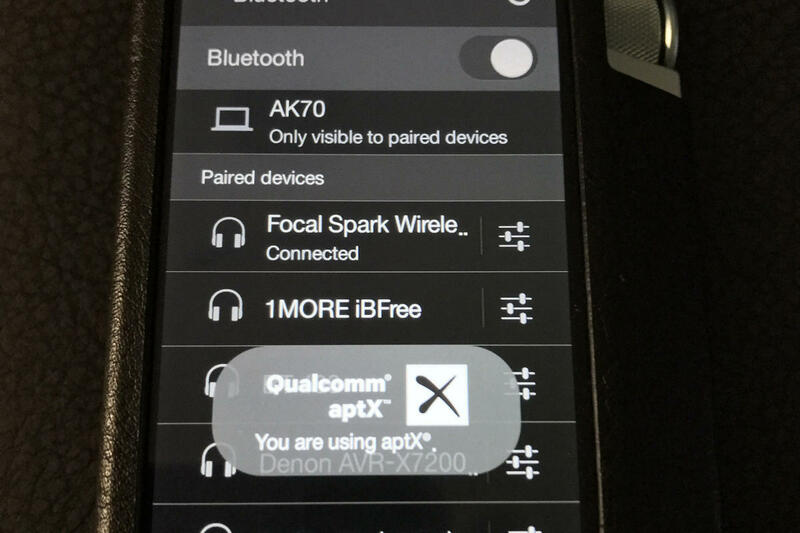 I wish that the Focal Spark supported the newer aptX HD codec, which is able to stream high-res music files over Bluetooth. I paired the Spark Wireless with an iPhone 7 and an Astell&Kern AK70. The AK70 is a high-resolution digital audio player and supports both aptX and aptX HD. Since I had both the Spark and Spark Wireless in for review at the same time, however, I also took the opportunity to do some A/B comparisons, level-matching the volume as closely as possible. I played my typical repertoire of music, dominated by female vocalists and spanning pop, rock, classical, and jazz. I found these headphones to be wonderfully balanced and natural sounding, with none of the overt coloration or muddiness that many competing wireless headphones exhibit at this price-point. I also noted the absence of any of the digital artifacts that I’ve encountered with some other Bluetooth headphones. 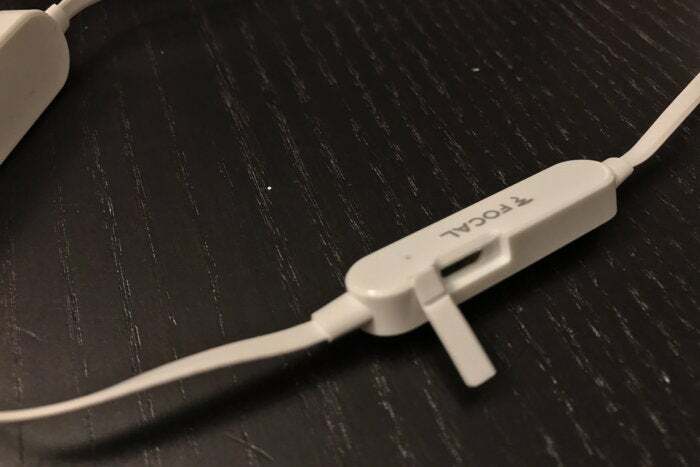 The Spark Wireless are connected by a 23-inch cable with an inline remote. Streaming Lorde’s “Royals” from the album Pure Heroine via Tidal captured the signature parts of the song. Bass bombs in the song’s refrain were deep and controlled, but you will sacrifice some visceral impact. The chorus of snapping fingers were crisp and the echo had a nice, natural decay. The tonal character of Lorde’s vocals came across wonderfully. The Spark Wireless can also mellow out. I could sit, listen, and relax to piano lines from Lorde’s “Liability” or Adele’s “Remedy.” By the time I got to Alicia Keys’ acoustic rendition of “No One” from Vault Playlist Volume One I was closing my eyes and moving to the music. I never felt fatigued, even after several hours of listening, and these headphones never became uncomfortable to wear. The Focal Spark supports the aptX codec for near CD-quality streaming over Bluetooth. High quality music sources excelled. When I played the DSD version of Pink Floyd's "Wish You Were Here" with an aptX connection between the Spark Wireless and the AK70, the midrange remained clean and open; bass response was good, though it exhibited a hint of bloat; and the top end remained free of any overly bright tendencies. I noted very good timbral accuracy on several musical sources including the 24-bit/176.4kHz recording of Rebecca Pidgeon's "Spanish Harlem." On this track, Pidgeon's vocals were smooth and inviting, maintaining the same tonal character I'm accustomed to hearing on more expensive headphones. Detail of the Spark Wireless’ bullet ear tips (one is removed in this shot). The Spark Wireless sound incredibly similar to their wired cousin; some listeners will be challenged to tell them apart. To my ear, the wired version sound slightly more open, delivering a more detailed and three-dimensional soundstage. The wireless version, meanwhile, placed more emphasis on bass frequencies. These minor sonic differences can be attributed to several factors, including the manner in which Bluetooth compresses an audio signal so that it requires less bandwidth. The Focal Spark Wireless bathe you in intoxicating audiophile sound without breaking the bank. Seriously, these cost only $99? You could spend more and not get sound that's as smooth, natural, and engaging. These are great wireless headphones. Correction: This story was corrected on July 4 to report that the Focal Spark Wireless supports the aptX codec. The review originally stated that aptX was not supported. Great sound without wires sums up these slick, stylish, and budget-priced wireless headphones from the French speaker and headphone builder, Focal.